A place for everything and everything in its place. Sometimes I think if I just had a place for all my things my house would be more organized. That’s the inspiration for today’s post, a 2×4 blanket ladder. My family loves to snuggle with a cozy blanket year round but we’ve never really had a nice place to keep them all. I made this simple blanket ladder to corral our most used blankets. Not only is it functional but it adds character to my living room and looks great next to the fireplace. 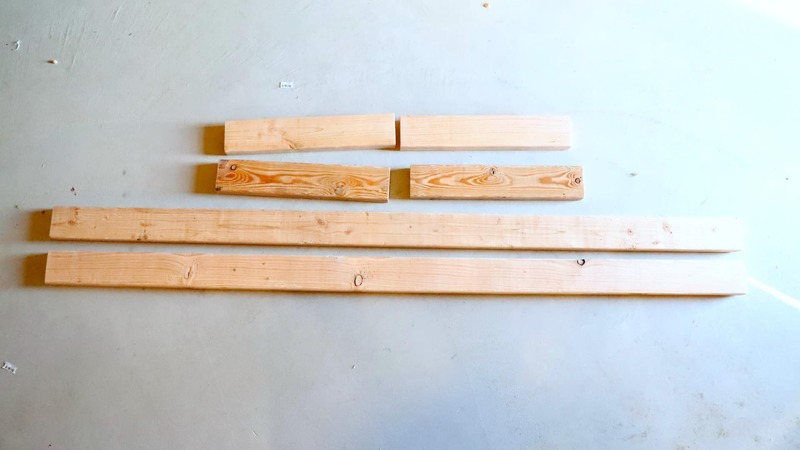 Watch and learn how you can make your own 2×4 blanket ladder. For this project I used basic pine 2x4s. They do have some black stamps and markings on them. 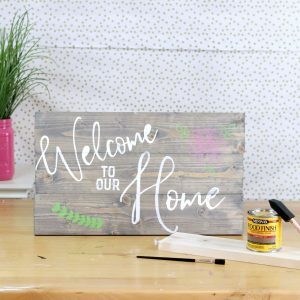 If this isn’t something you want showing on your finished project be sure to select boards without the markings or opt for multiple coats of paint to cover them. Start by cutting your boards to size and sanding any rough edges. Then lay your wood on the floor and dry fit everything together making sure the rungs of your blanket ladder are evenly spaced. Use a level and square to make sure your ladder is even. Now it’s time to assemble the blanket ladder. Drill 2 pilot holes through the side of the ladder into each rung, then add screws. Do this on one side of the ladder then flip your ladder into its side and add screws to the opposite side. When your ladder is assembled its time to paint it, once it’s dry it’s ready for blankets. I used 2 coats of Americana Decor Outdoor Living paint on my blanket ladder. It has a durable finish and covers the black markings on the wood well. 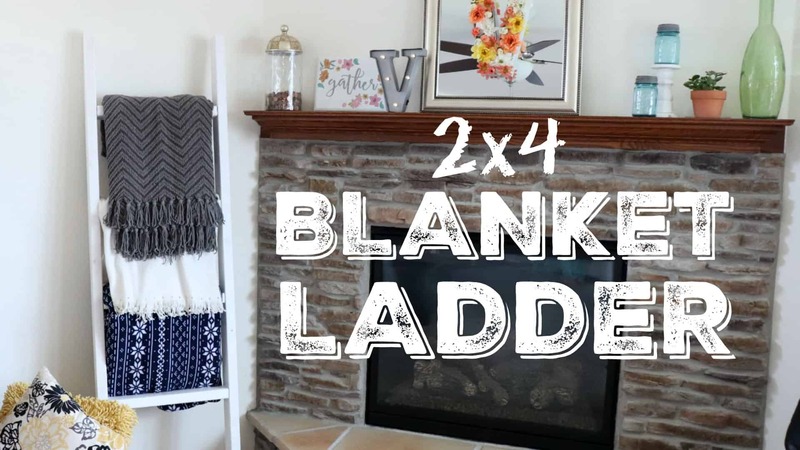 This 2×4 blanket ladder is a simple building project that is both functional and decorative. 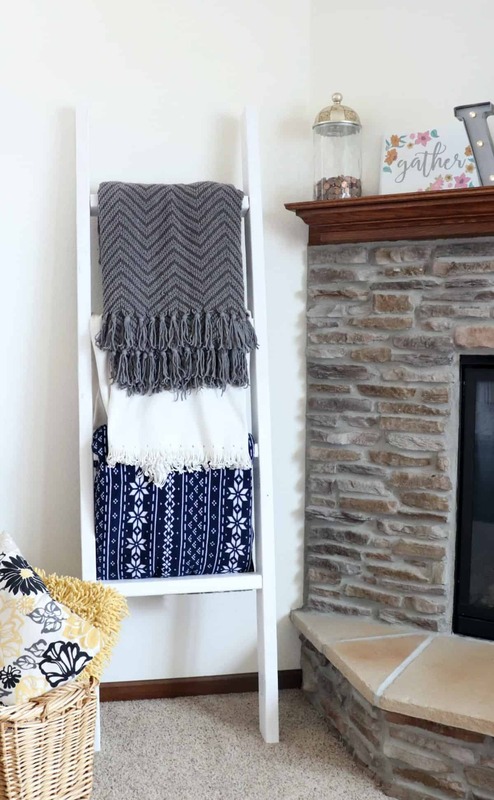 If you need a little more organization in your life give this blanket ladder a try.